Many people believe governments around the world are covering up the existence of UFOs. About 400 of them gathered at the University of Calgary for the Disclosure Canada Tour. They want governments to release all information on record about UFOs. 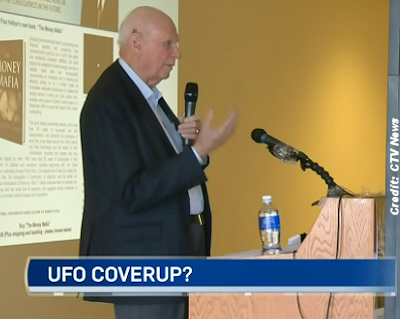 The keynote speaker was Paul Hellyer, the Canadian Defence Minister in the 60’s.